Alice Henderson was born in May 1887 at Ohio, USA. Amy Belle Henderson was born in February 1893 at Ohio, USA. She died on 4 August 1958 at age 94. C. E. Henderson was born in July 1898 at Ohio, USA. Clara F. Henderson was born in September 1885 at Ohio, USA. Don C. Henderson was born on 13 February 1862. He According to the recollections of Robert Henderson Sharp, Don was alawyer in Lima, Ohio. He had something to do with Ohio NorthernUniversity. He also had a son, Don, and was involved in politics inLima, Ohio. Elizabeth Henderson was born on 1 June 1853. She Notes in the Sharp Family Bible state that 'LIzzie' died in October,aged 57 years, 4 months, and 13 days. Frank Henderson was born on 13 August 1867. He married E. Brewster, daughter of E. J. Brewster, in 1891. Frank Henderson According to the recollection of Robert Henderson Sharp Frank wasfrom Weston and had a hardware business in Bucyrus, Ohio (maybeHenderson Hardware?). He also thought Frank may have been inSandusky. Notes in the Sharp Family Bible kept by Maude Elsie ShererSharp state that 'Uncle Frank died on July 23, 1957. U.S. Census 1900,Wood County, Ohio, Village of Weston, Page 258, sheet 1, HendersonF., head, DOB Aug 1867, 32, clerk merch., no. 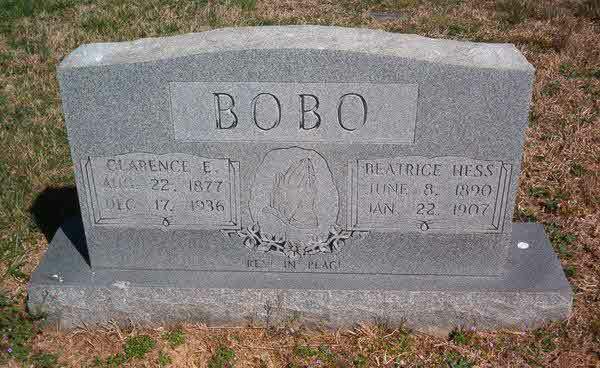 of years married 9, POBOhio, POBM PA, POBF PA; E., wife, DOB June 1868, 31, no. of yearsmarried 9, mother of how many children 2, how many living 2, POB Ohio,POBM&F New York; Brewster, E.J., mother, DOB Sept 1842, 57, widow,mother of how many childre 4, how many living 4, POB New York, POBMMass., POBF Vermont; Henderson J.B., son, DOB Jan 1892, 8, POB Ohio,POBM&F Ohio; Henderson, C.E., son, July 1898, 1, POB Ohio, POBM&FOhio. He died on 23 July 1957 at age 89. Frank A. Henderson was born at Ohio, USA. J. B. Henderson was born in January 1892 at Ohio, USA. J. Kyle Henderson was born on 2 July 1855. He married Anna E in 1885. J. Kyle Henderson Acording to Robert Henderson Sharp may have lived in Weston, Ohio andmay have been in charge of the Railroad depot there. U.S. Census 1880,Wood County, Ohio, Village of Weston, page 267, sheet 10, Henderson,J.K., head, DOB July 1859 (NOTE difference in this date from familyrecords), 40, no. of years married 15, capitalist, POB PA, POBM&F PA;Anna E., wife, DOB April 1862, 38, no. of yeears married 15, mother ofhow many children 2, how many living 2, POB ohio, POBM Ohio, POBF PA;Clara F., daughter, DOB Sept 1885, 14, POB Ohio, POBM Ohio, POBF PA;Amy Belle, daughter, DOB Feb 1893, 7, POB Ohio POBM Ohio, POBF PA.
James K. Henderson was born on 23 December 1825 at Pennsylvania, USA. He married Susan Hine in 1848. James K. Henderson According to the recollections of Robert Henderson Sharp, JamesHenderson was a physician who practiced in Weston, Ohio near BowlingGreen. He bottled and sold 'Henderson's Relief', a liquid preparationfor colds. Bob said that you poured it on sugar and then swallowed it.Bob said this concoction was sold in local drug stores. According toBob, James Henderson came to Bucyrus when he was old and very sick,probably to stay with his daughter, Maggie Jane. Bob believes that hedied in Bucyrus but is not sure. U.S. Census 1910 Ohio, Wood County,Weston lists James K. Henderson, 85, and his wife Susana, 86, ashaving been married 62 years. It states they had 9 children and 8 areliving. Both were born in Pennsylvania as were Susanna's parents. Theentry for James was hard to read- I think it says that his parentswere born in Ire (then a note over the top looks like Eng). There isalso something written in the column , Survivor of Union orConfederate Army or Navy, but I couldn't read it. Try to look atanother copy. Wood County, Ohio Atlas 1875-1912 (Gc. 977.101 W 85 wo)for Bloom Township lists Jas. Henderson, Post Office, Jerry City;Nativity, Pennsylvania; Business, Physician and Surgeon; Residence,Jerry City; Settled in Co., 1874; No. of Lot or Section, Blank. Sincethe 1880 US Census for Crawford County, Ohio indicates Maggie wasborn in Pa. and her birthdate is 1850, look for James Henderson in Pa.in the1850 US Census. Wood Co. Atlas indicates Henderson settled inWood County, Ohio in 1874. Perhaps they were in PA until then. Map inWood County, Ohio Atlas 1875-1912, of Milton Township, shows S.Henderson and Jane Ellsworth as owners of a small North East corner ofSection 23. U.S. Census 1900, Wood County, Ohio, Weston , page 264,sheet 7, lists Henderson, J. head, DOB Dec 1826 (NOTE :difference inthis date from family records. ), age 73, years married 53, POB PA,POBM Ohio; POBF Ireland; Susana, wife, March 1824, 76, years married53; POB PA, POBM Germany, POBF Germany (NOTE differences in this from1910 Census. ), mother of how many children 9; how many living 8; C.F.Buttles, boarder, March 1861, 39, single, House carpenter, all POBOhio; Wm. Weaver, boarder, March 1872, 28 single, day laborer, all POBOhio. U.S. Census 1880 _ Could not find James in Weston, Ohio. Needto look again when I am not so rushed. He died on 7 November 1916 at age 90. John Cooper Henderson was born on 30 March 1842. Lola Henderson was born in August 1890 at Ohio, USA. LouderSusan Henderson was born in 1872 at Ohio, USA. Margaret Jane Henderson was born on 29 September 1850 at Pennsylvania, USA. She married Francis M. Sherer, son of John Sherer and Sarah Kieffer, on 3 April 1869 at Crawford, Ohio, USA. Margaret Jane Henderson married John Cooper on 26 September 1901 at Crawford, Ohio, USA. Margaret Jane Henderson Book Marriages of Crawford County, Ohio (1831-1989). Cooper, John DOM26 September 1901. Sherer, Maggie J. Vol. 15, Page 362. Tombstonestates: Maggie J. Cooper, wife of John Cooper, Died May 22, 1914,aged 63 years, 7 months, and 23 das. Maggie's first husband, FrancisM. Sherer, 'ran off' with Maggie's youngest sister, Belle. Theysupposedly went to California to live. This, of course, was a bigfamily scandal. F.M. Sherer and Belle were never to be mentionedagain. It is not clear whether Maggie and Francis were actuallydivorced or whether he and Belle were ever actually married. Francisdied in Dec. 1889 and Maggie married John Cooper in September 1901.This is a subject for further research. U.S. Census 1880, CrawfordCounty, Ohio, Whetstone Township, Cleveland Wards 1-4, lists F.M.Sherer; 30; farmer; POB, Ohio; POBF, Pennsylvania; POBM, Ohio: MaggieJ; 29; wife; POB, PA; POBF, PA; POBM, PA.: Samuel B; 10; son; POB,Ohio; POBF, Ohio; POBM, PA: John H; 7; son; POB, Ohio; POBF, Ohio;POBM, PA: Adam; 5; son; POB, Ohio; POBF, Ohio; POBM, PA: Birdie B; 2;son; (Birdie is a girl) POB, Ohio; POBF, Ohio; POBM, PA: Elsie M;6/12; dau; POB, Ohio; POBF, Ohio; POBM,PA: Kerr, Charles; white;female ? ; 21; servant; POB, Ohio; POBF, Ohio; POBM, Ohio. Since the1880 US Census for Crawford County, Ohio indicates Maggie was born inPa. and her birthdate is 1850, look for James Henderson in Pa. inthe1850 US Census. Wood Co. Atlas indicates Henderson settled in WoodCounty, Ohio in 1874. Perhaps they were in PA until then. AfterMaggie's marriage to John Cooper, she became known as Grandma Cooper,the source of Grandma Cooper's itch. Grandma Cooper, her daughter,Maude Elsie Sherer Sharp, her grandson, Robert Henderson Sharp, hergreat grandson, Robert Tadsen Sharp, and her great great grandson,Robert Reid Sharp all have it! They scratch one shoulder blade sooften that they wear the shirt material thin in that spot. Accordingto notes in the Sharp Family Bible, Maggie Jane Henderson died ofcancer. Robert Henderson Sharp said she was operated on in Toledo,Ohio. Burial in Oakwood Cemetery Bucyrus, Ohio Location: Sec/Lot:M/R5-28. U.S. Census 1910 Crawford County, Ohio Bucyrus, lists Johnand Maggie Cooper as having been married 8 years. John Cooper wasborn in Ohio as were his mother and father. John Cooper is listed asthe manager of a hardware store. W. D. Henderson, brother-in-law, isalso living with them. He and his parents were born in Pa. He iswidowed and also the manager of a hardware store. Gold watch and blackcap belonging to Maggie Jane Henderson Sherer Cooper are in thepossession of Robert and Susan Sharp. Possibly also a walnut washstandwith chocolate marble top. Check with Bob. A tintype of Maggie with asmall boy and the same image of Maggie in a gold oval frame are in theposession of her great grandson, Robert T. Sharp. Her married name was Sherer. Her married name was Cooper. She died on 22 May 1914 at age 63. She was buried at Crawford, Ohio, USA. Robert D. Henderson was born on 14 August 1848. He married (?) M.K. in 1873. Robert D. Henderson According to the recollections of Robert Henderson Sharp, Bob was abusinessman and lived in Weston, Ohio. U.S. Census 1880, Wood County,Ohio, Village of Weston, page 216, enumeration date, 1 June 1880,dwelling no. 8, family no. 8. Henderson, Robert D., male, 32, married,hardware merchant, POB PA, POBM &F PA; M.R., female, wife, 27,married, keeping house; POB PA, POBM&F PA; Louder or Susan? , female,8, daughter, at school, single, POB Ohio, POBM&F PA; Frank A., male,12 ?, brother, single, POB Ohio, POBM&F PA. U. S. Census 1900 WoodCounty, Ohio, Weston Village, Page 258, Sheet 1, enumeration district163, Henderson, R., head, DOB May 1848, age 52, no. of years married27, POB Ohio, POBM PA, POBF Ohio; M.K., wife, DOB April 1853, age 47,no. of years married 27, mother of how many children 3, how manyliving 2, POB Ohio; POBM PA; POBF Ohio; Alice, daughter, DOB May 1887,POB Ohio, POBM&F Ohio. S. Frank Henderson married Mary C. Brockway, daughter of Francis A. Brockway and Icyminda Canterbury, in December 1896. W. Stewart Henderson was born on 3 February 1860 at Pennsylvania, USA. He married (?) Cora in 1884. W. Stewart Henderson According to Robert Henderson Sharp he was in the hardware businessin Bucyrus, Ohio. U.S. Census 1900 Wood County, Ohio, Village ofWeston, page 266, sheet 9, Henderson, Stewart, head, DOB Feb 1860;40, hardware clerk, no. of years married 16, POB PA. POBM&F PA; Cora,wife, April 1866, 34, no, of yers married 16, mother of how manychildren1, how many living 1, POB Michigan; POBM&F New York; Lola,daughter, August 1890, age 9, POB Ohio, POBM Michigan, POBF Ohio. (?) Henessy was also known as (?) Sexton. Beatrice Hess was born on 8 June 1890. She married Clarence Edgar Bobo, son of Arvin Joseph Bobo and Margaret Angeline Fewry, circa 1906.1 As of circa 1906, Beatrice Hess was also known as Beatrice Bobo.1 She died on 22 January 1907 at age 16. Cora Hetrick married William C. Rofkar, son of Henry Carl Rofkar and Anna Rebecca Marselius, in 1892. Her married name was Rofkar. Alice Hewitt was born in 1843 at Athens, Athens, Ohio, USA; Named after Athens, Greece; home of Ohio University. Clarissa Hewitt was born in 1839 at Athens, Athens, Ohio, USA; Named after Athens, Greece; home of Ohio University. She married William Phillips on 18 August 1853. Her married name was Phillips. Elizabeth Hewitt was born on 5 April 1846 at Waterloo, Athens, Ohio, USA. She married Francis R. McLain on 25 August 1865 at Mineral, Athens, Ohio, USA. Her married name was McLain. Elizabeth Hewitt died on 15 September 1918 at Ohio, USA, at age 72. She was buried at Ohio, USA. Israel Hewitt married Betsey Bobo, daughter of Gabriel Bobo and Elizabeth Garner, on 19 February 1799 at Ohio, USA. Minerva Hewitt was born in 1839 at Athens, Athens, Ohio, USA; Named after Athens, Greece; home of Ohio University. She married Homer Judd on 18 June 1857. Her married name was Judd. Moses Hewitt was born in 1849 at Athens, Athens, Ohio, USA; Named after Athens, Greece; home of Ohio University.